"Heritage County" is a Spanish Villa development spread across 28 Acre. 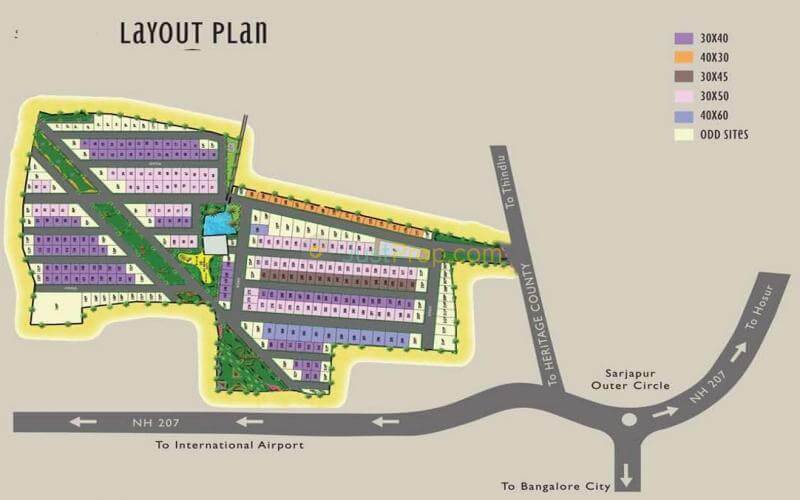 Located in Sarjapur, facing NH 207, the project is a stone’s throw away from the proposed Satellite Town Ring Road. It offers spacious and skillfully designed 3BHK and 4BHK Villa. The project is well equipped with all the basic amenities to facilitate the needs of the residents. The site is in close proximity to various civic utilities.